Some of you know, and others may not, but I've not used the Blues Junior regularly since 2009. The tone in my videos, since August 2009 comes from a VAC 23 amplifier, made by Sam Timberlake of Samamp. That amp combines two things I love: Fender style tone and low power. Sam invented a way to use appliance lightbulbs to limit voltage and current to the power tubes, reducing their power, and thus, volume. This feature is called the Variable Amplitude Clipping, or VAC. The VAC control allows you to pick the power level appropriate for your venue. The VAC 23 that I play has 3, 5, 11, 18, and 23 watt settings. This year at the Nashville Amp Expo, Sam introduced me to his latest creation, the VAC 40 Series II. Short summary: awesome, better. What's The Same, and What's Different? From here on out, I'll be referring to the VAC 40 Series 2 as simply "VAC40" and my VAC 23 as simply "23". Both the 40 and the 23 have a VAC circuit, but the VAC40 has power levels up to 40 watts and the VAC23 only up to 23 watts. The extra wattage doesn't matter to me, I've never had the VAC23 above 18 watts for any gig I've played. However, depending on how much clean volume you want, the extra watts could be very important to you. The VAC40 has a clean channel which is very similar to the one single channel of the VAC23. The VAC23 does include a master volume, but since the VAC40 has a separate overdrive channel, this is not really a missing. The VAC23 has several boosts, a tonestack bypass, mid boost and treble boost. The VAC40 has a 3 way treble shaping switch, and an upper midrange boost. It loses the tonestack bypass, which I never used anyway. The clean channel of the VAC40 is every bit as good as my entire VAC 23 amp. The both the 3-way treble shaping switch and the upper-midrange boost on the VAC40 sound better and are more useable than their counterparts on the VAC23. Where the VAC23 has only the one channel, the VAC40 adds a foot-switchable overdrive channel. The overdrive channel has essentially the same controls, with the addition of a master volume. The master volume in this channel allows you to tailor how much preamp distortion you want, while also matching the volume of the clean channel. There are some engineering details about the way the VAC40 overdrives the tubes which I won't bother trying to explain here. The resulting overdrive is very musical and cleans up very well with a lighter touch. Sam has designed a foot-switchable volume roll-back. This gives the overdrive channel two modes: rolled back, and normal. These modes can be toggled with the second switch. The roll back circuit gently attenuates the lows and mids to give your tone a bit more definition. The normal mode sounds thick and meaty in comparison. My approach to tone is built on levels of sustain (using distortion). I start with a clean-ish tone, and add levels of sustain for different kinds of soloing. The VAC23 gives me one level. I use pedals to get the rest. The VAC40 would give me 3 levels. Clean, Overdrive (rolled-back), and Overdrive (normal). While I have no intention of giving up my pedals, the VAC40 would give me a lot more options because it can do things I previously had to rely on pedals to do. 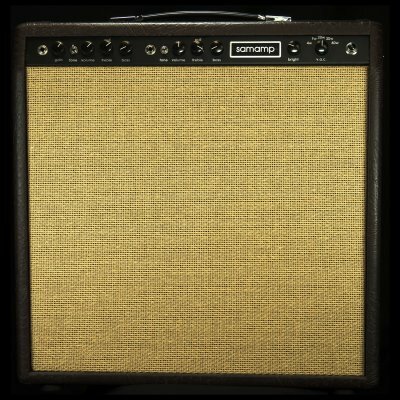 If you're shopping for an amp under $800, neither Samamp model is really within your budget. But as boutique amps go, the Samamp models are quite affordable. The VAC23 is a bit less expensive, but if you're shopping for a $1500 amp, chances are another $200 is not going to break your bank. The VAC40 practically containts the VAC23 in the clean channel alone, with the addition of more power, better boosts, and a completely separate overdrive channel with 2 modes. 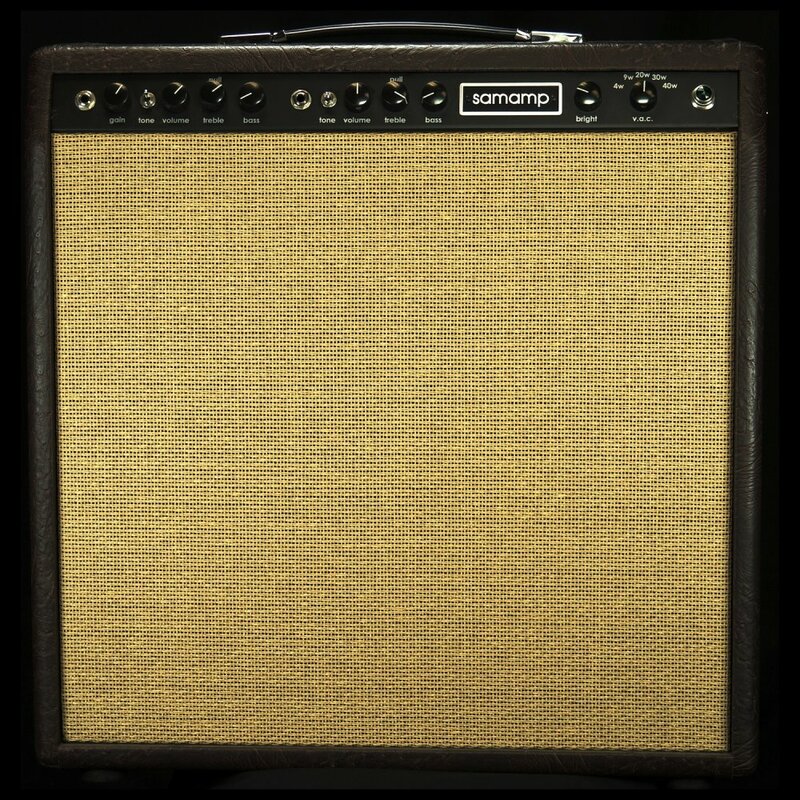 If you're considering a Samamp, this is the one to look at first.